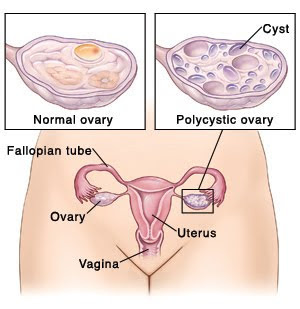 Home › Polycystic Ovarian Disease › Why do PCOD patients gain weight? Why do PCOD patients gain weight? Let’s think about PCOD as a spectrum. On one end of the spectrum, women will experience irregular cycles and have difficulty getting pregnant. Their pancreas makes insulin that roams the blood, plugs into the insulin receptors, and helps break down carbohydrates and sugars, and everything is fine. On the other end of the spectrum, women will experience irregular cycles but could also have oily skin, acne, facial hair, and may be overweight. These patients typically have insulin resistance. Their pancreas makes insulin but it has no receptors to plug into causing their carbohydrates and sugars to not be broken down. This causes them to gain weight. PCOD can’t be cured but we can definitely help you manage your symptoms. Give us a call at 530-332-9703 to schedule an appointment with Dr. Davis. ‹ Have you been told the pain is “just in your head”?